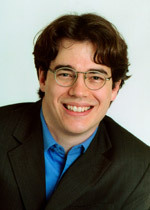 Marc Fredette is a Professor in the Department of Decision Sciences since 2004. He holds a PhD in Statistics from the prestigious University of Waterloo, and is the Professor in charge of the Statistical Society of Canada at HEC Montréal. His research interests focus on the prediction and modeling of longitudinal processes with applications in marketing, user experience and human-machine interactions. In recent years, his research programs have been funded by the SSHRC, the NSERC and the FQRNT. He is also heavily involved in Tech3Lab, the largest user experience research laboratory in North America where he is a member of the Executive Committee and the Senior Analytical Researcher. Since 2008, he is the recipient of a grant for excellence in research and teaching from the Ministry of Education.